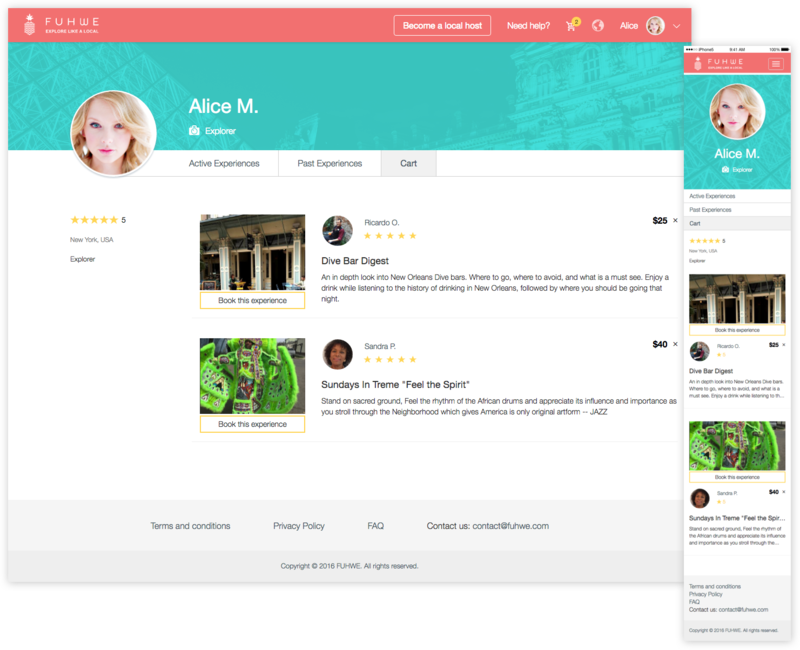 FUHWE is a website which allows Members to meet and connect online with tour guides (“Locals”) who have extensive familiarity with cities that Members would like to visit. 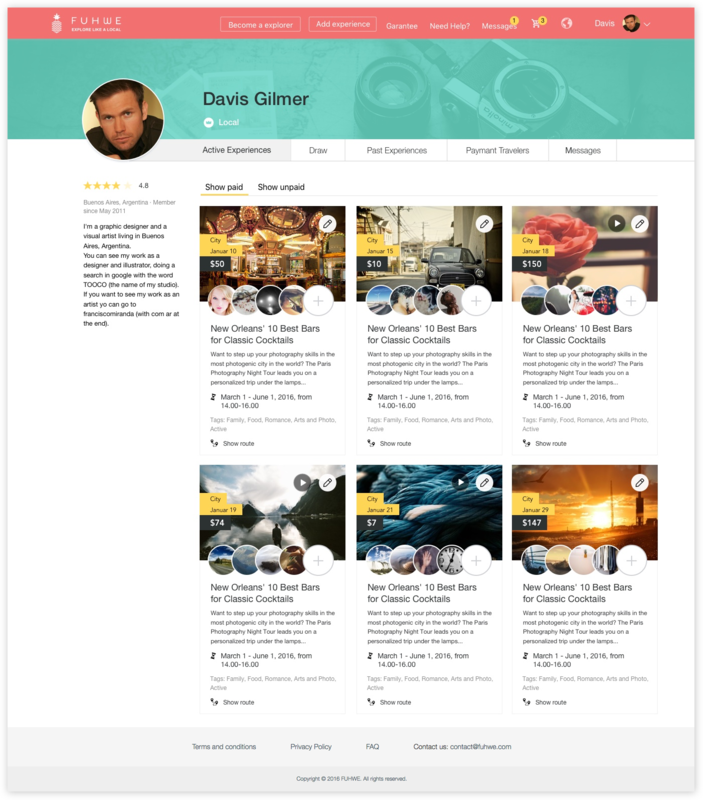 A Member books a tour or experience with a Local which then makes them an “Explorer”. The Experience may be classified into one of foloowing categories: history, culture, food/beverage, entertainment, music, and sports. The app is currently available in AppStore, download for iOS and give us 5 stars please! Sign Up. Create your experiences for Explorers. Add photos and Videos. 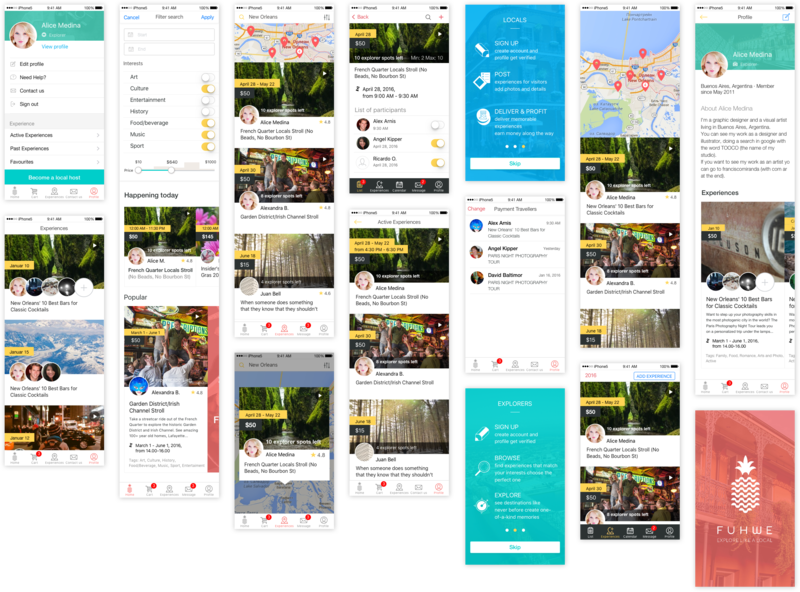 Help to share awesome memories and earn money along the way. Create an account. Find experiences that match your interests. Choose the perfect one. See destinations like never before to create one-of-a-kind memories. For users' convenience iOS app was also implemented along with the website. It has the same features except for "adding experience", which is more comfortable to do from the site. 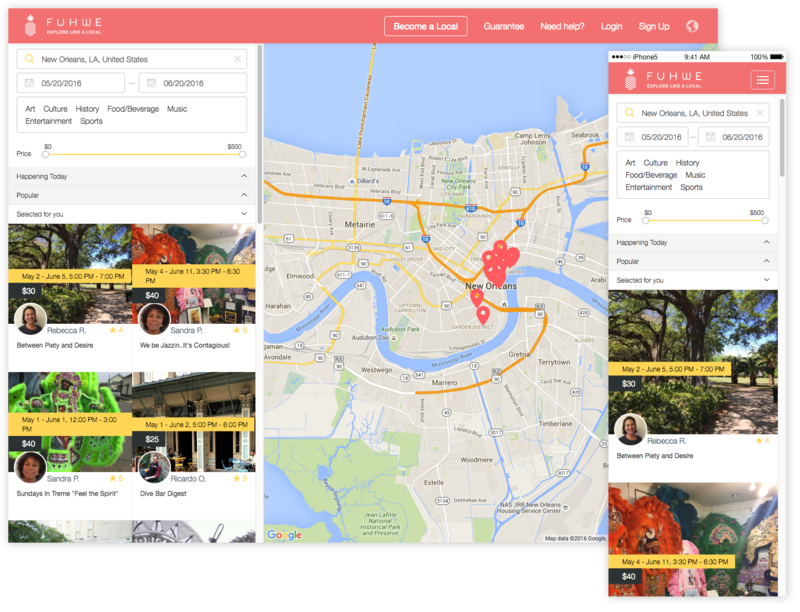 But all in all this nice app lets people explore New Orleans and discover different parts of this city!